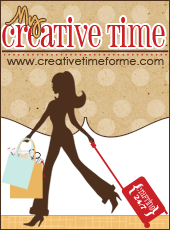 For this card I used CTMH Artiste Cricut cartridge and Recollections With Love 6x6 paper pad. 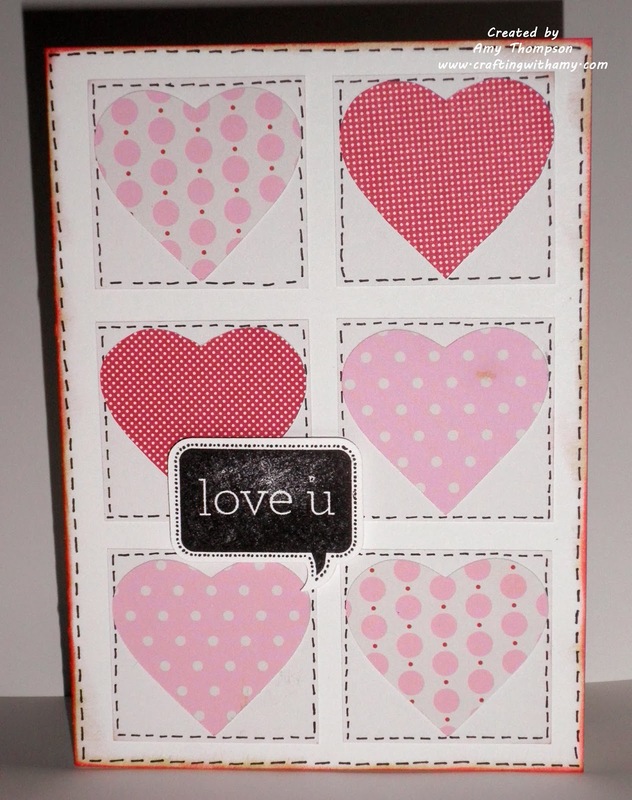 I cut the hearts out with my Cricut then cut the squares of paper to go behind the hearts. 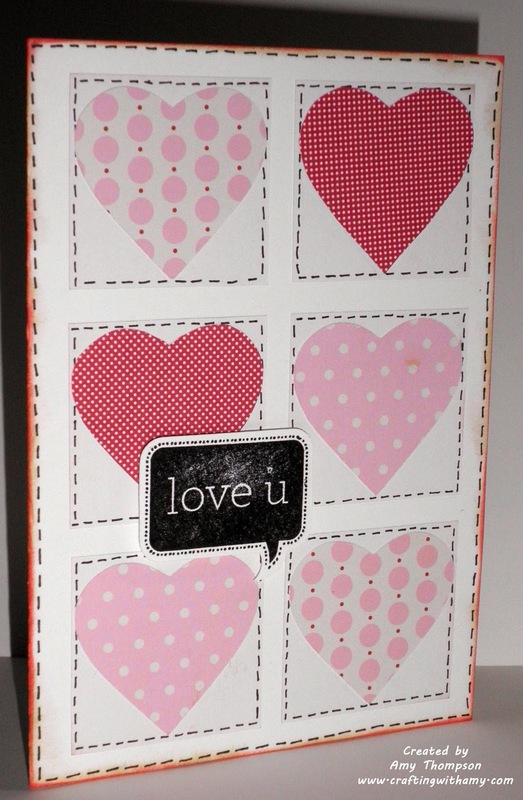 I then added some stitching around the card base and squares behind the hearts. 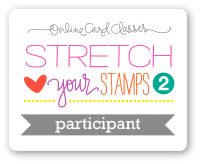 The stamp is also from CTMH Artiste Cricut cartridge. I hope you enjoyed my card. Thank you for stopping by today. this is really cute Amy, I love the clean squares and the doodling! this is sweet. Love the design.